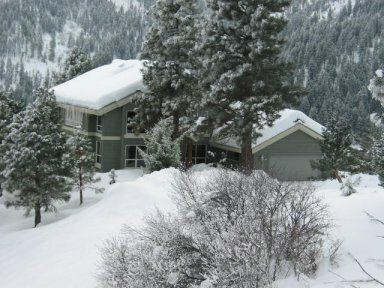 Oreon's office is located on a mountain top in the Boise National Forest. It includes conference facilities and client guest suites and is a five minute walk from Lesley and John's home. Oreon conducts opinion and market surveys for a wide variety of public, private, and non-profit organizations. Much of our work is primary survey research studies in which we design questionnaires, conduct the interviewing (partnering with our sub-contractors), and analyze and present the results. We also analyze data from surveys conducted by other firms to extract value that may have been left undiscovered. Where Did You Get Your Company Name? Our name, Oreon, comes from our location. The Greek word for "mountain" is ορος (oros) and the genitive (possessive) plural is οροεν (oreon, "of the mountains"). We're convinced that the clean air and the mountain top perspective stimulate not only cutting edge analytics but out-of-the-box creative thinking as well. Lesley Bahner & John Fiedler - New Orleans - 2000. John began his communications and research career in 1969 at the Leo Burnett Company in Chicago. During his tenure at Burnett he held three research management positions: Vice President - Group Research Director, Director of International Research, and Director of Copy and Creative Research Services. Mr. Fiedler also spent two years at Market Facts, Inc. as Manager of Decision Systems, where he directed studies that employed statistical analyses such as conjoint measurement, perceptual mapping, and a variety of modeling procedures. From 1980 to 1984 Mr. Fiedler served as Executive Vice President at Ted Bates Advertising, at that time the world's third largest advertising agency. Subsequently, John served as Director of Communications Research for the 1984 Reagan-Bush campaign. He was responsible for the coordination of all media issues within the Polling and Planning Division. This included the development of innovative procedures for strategic advertising formulation and testing, broadcast and print media allocation, and communications strategies for the candidates' speeches and debates. John is widely recognized as a thoughtful analyst and a persuasive presenter. He has presented the results of his research to senior management at many Fortune 100 companies, in over twenty countries, and to three U.S. presidents. In addition to his work at Oreon, He is also Vice President and Chief Scientific Officer for Twelve Americans, Inc. which, in a joint venture with Ipsos-OTX Research, offers ConsumerMaps, a syndicated market research service which links consumer's perceptions of brands and corporations, public personalities, and media properties including television channels and programs. John served for twelve years on the board of Plan USA (formerly Foster Parents Plan) and, since 2002 has served on the board of Catholic Charities of Idaho and is currently its Vice Chair. He is a graduate of the University of Wisconsin at Madison (1965) and holds master's degrees from the University of Chicago's Booth School of Business (1969) and from Loyola University New Orleans (2000). Lesley Bahner began her research career in New York in 1973. Before working with John at Ted Bates beginning in 1980, she held research management positions at McCann-Erickson and Compton Advertising. In 1983, Lesley helped form The Qualitative Consultancy and was Vice President of this New York City based company until 1985. During this time she worked for the Reagan-Bush 1984 presidential campaign. She was responsible for much of the advertising development research and for all of the motivational research done to develop the campaign's communications strategies. She also specialized as a moderator-interviewer for a varied list of clients that included many of the nation's Fortune 500 companies. Lesley has spoken about research issues at several professional conferences, including the Sawtooth Software Conference and the American Marketing Association. 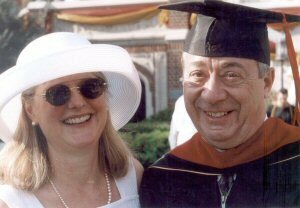 She served on the Qualitative Research Council of the Advertising Research Foundation as well. Since moving to Idaho in 1990, Lesley has continuously served her homeowner's association in a variety of roles as a board member, treasurer, and president. In addition she currently volunteers with the Boise Art Museum and the Boise Philharmonic. She received her AB in sociology from Ohio University in 1973. Oreon was founded by Lesley and John in Greenwich, CT in the fall of 1984. The company was then called POPULUS, Inc. Six years later in 1990, the company relocated to Wilderness Ranch, in Boise County, Idaho. In 1990, they sold the company's name and other assets to P&B LLC and continued to operate under the same corporate charter in the same location under the name Oreon Inc. There is no business connection between POPULUS and Oreon.